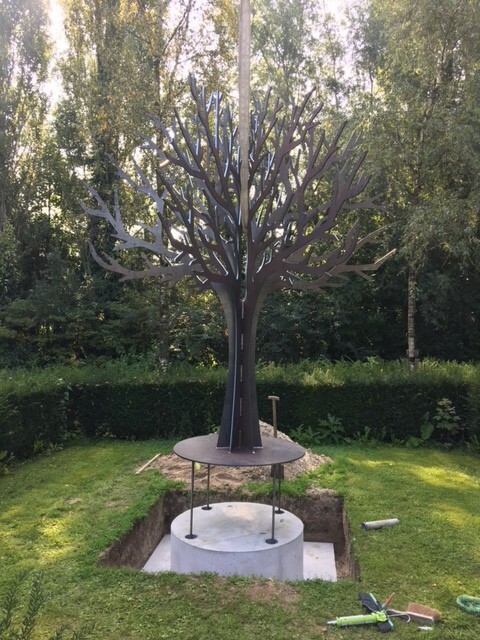 The memorial-tree is made from corten (quality S355J0WP) weathering steel, laser cut and welded together by well trained professionals by our ISO qualified steel fabrication and manufacturing plant. 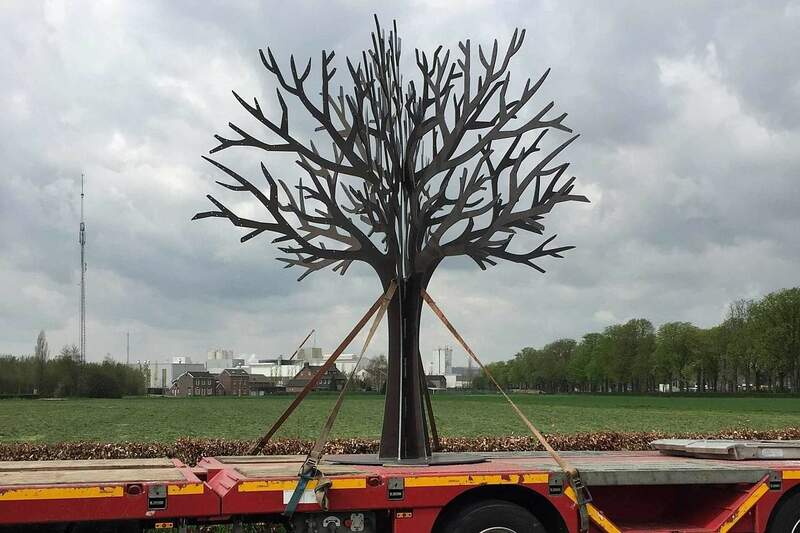 Transport and installation of the memorial-tree will be taken care of by us. 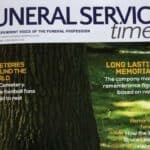 We use professional companies who have a long experience with placing gravestones and memorials. 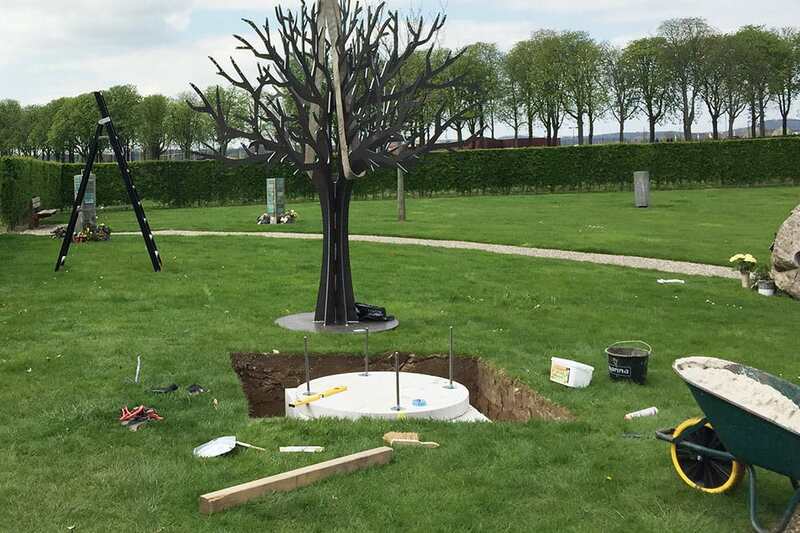 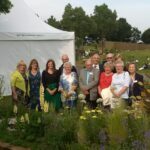 When installed the memorial-tree is anchored to a concrete foundation placed in a pre-dug hole of two meters by two meters with a depth of 60cm. 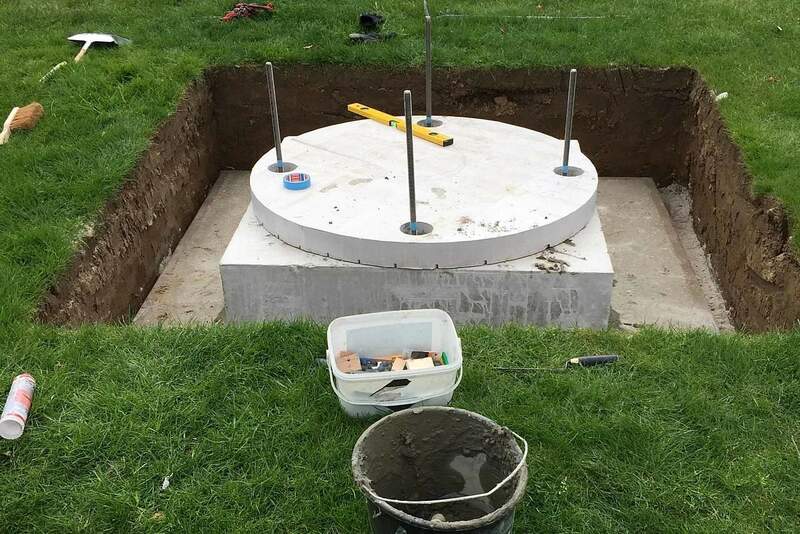 The weight of the concrete foundation is approximately 1,000kg. Thus the memorial tree has a total land weight of approximately 1,600kg. 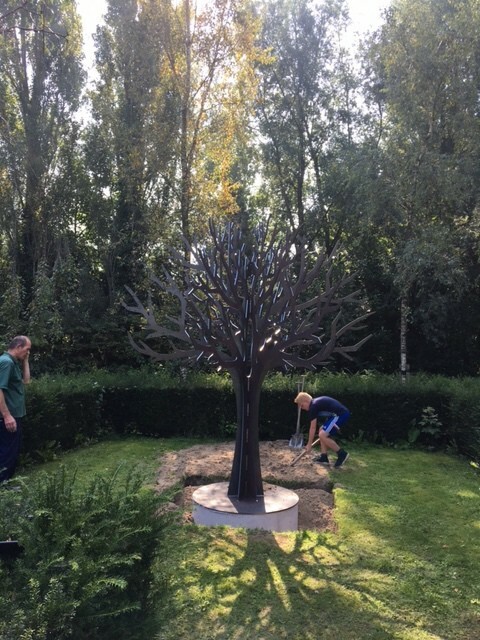 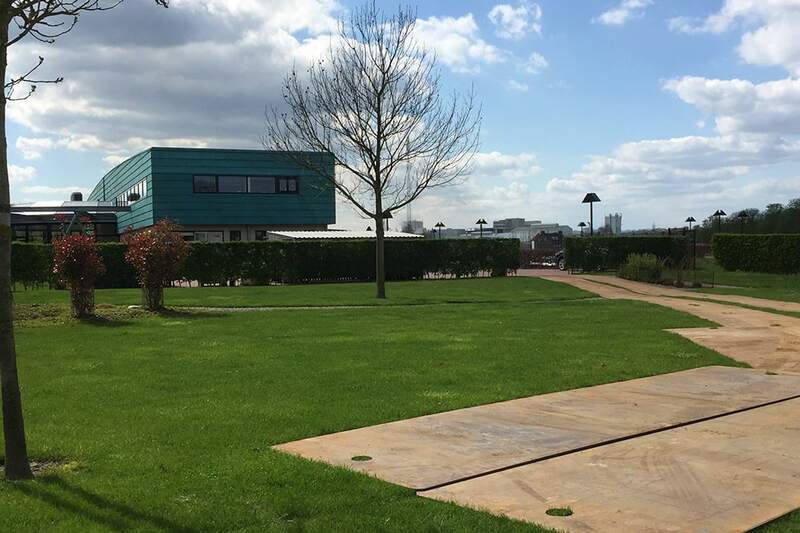 Before the order is finalised, a site visit from ourselves determines how the memorial-tree can be installed on your property. 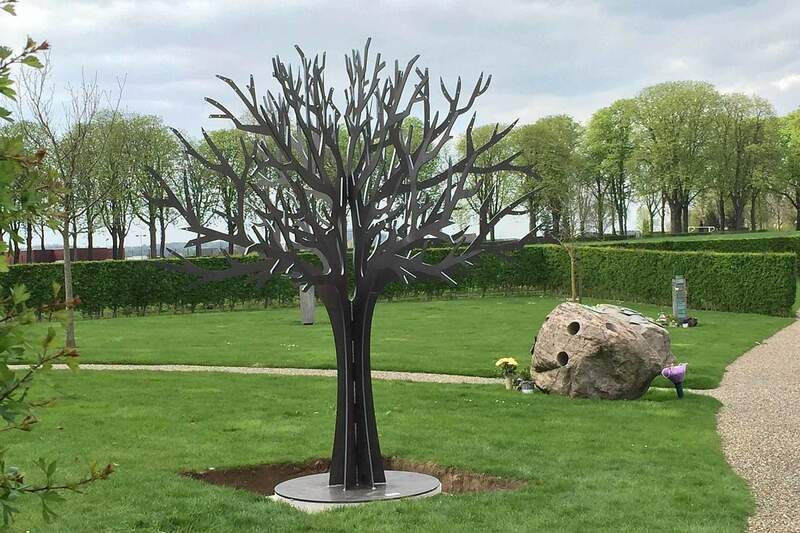 It is also possible for the creation of specialised leaves individual to a memorial tree. 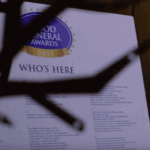 Our standard leaves are made from aluminium in a beautiful anodized gold. 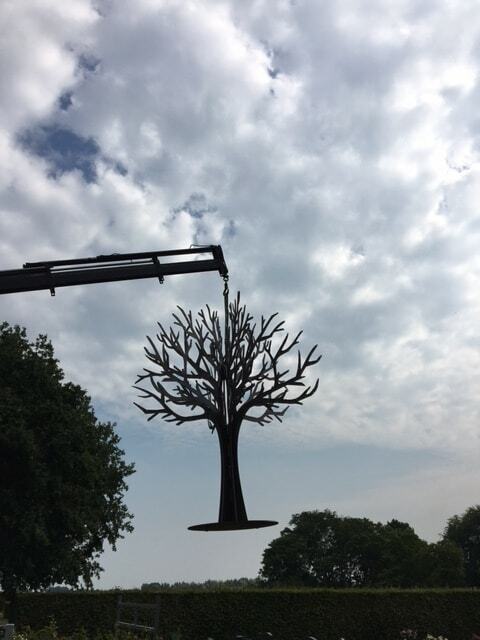 Leaves can differ in form and materials (steel, copper, brass, aluminium), and also be provided with a bespoke colour when in aluminium.